The overarching goal of research in the Zaph lab is to define the cellular and molecular mechanisms that control immunity and inflammation at mucosal sites such as the intestine and the lung. 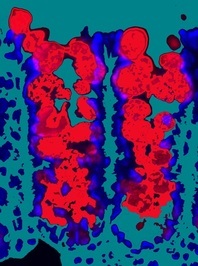 The various subsets of immune and non-immune cells at mucosal sites are present in a tightly controlled equilibrium that when perturbed by infection, chemicals or genetic predisposition, results in dysregulated inflammation and diseases including asthma and allergy, inflammatory bowel diseases (IBDs), food allergies and cancer. Understanding the molecular and cellular principles underlying mucosal inflammation represents a potential target for identifying novel therapeutics for the treatment of these diseases.